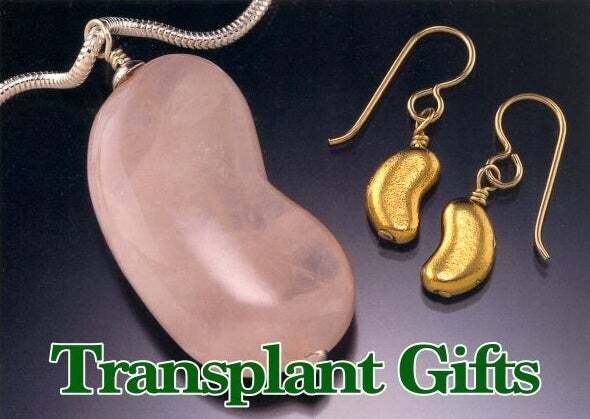 This kidney charm was designed by Myra Schwartz, US kidney recipient. Made in Bali exclusively for my expanded website, transplantGIfts.com (aka kidneyjewelry.com). Until that website is re-done with a shopping cart, this site was developed as a direct pay page to make purchasing easier. Kidney bead is 15mm long and with bail, it is 24mm long from top of loop to bottom. 16" Sterling silver chain included. Choose option menu below if you prefer 18." Shipping within Illinois, USA will include 10% sales tax. International shipping is figured for the Australia, Canada and the UK. If you are shipping to any other country, please use the Contact button to send me a message and include your postal code. I will then send you a Paypal invoice for your payment by credit card with the correct shipping. Let me know if you need it by First Class (slower) or Priority (Faster).